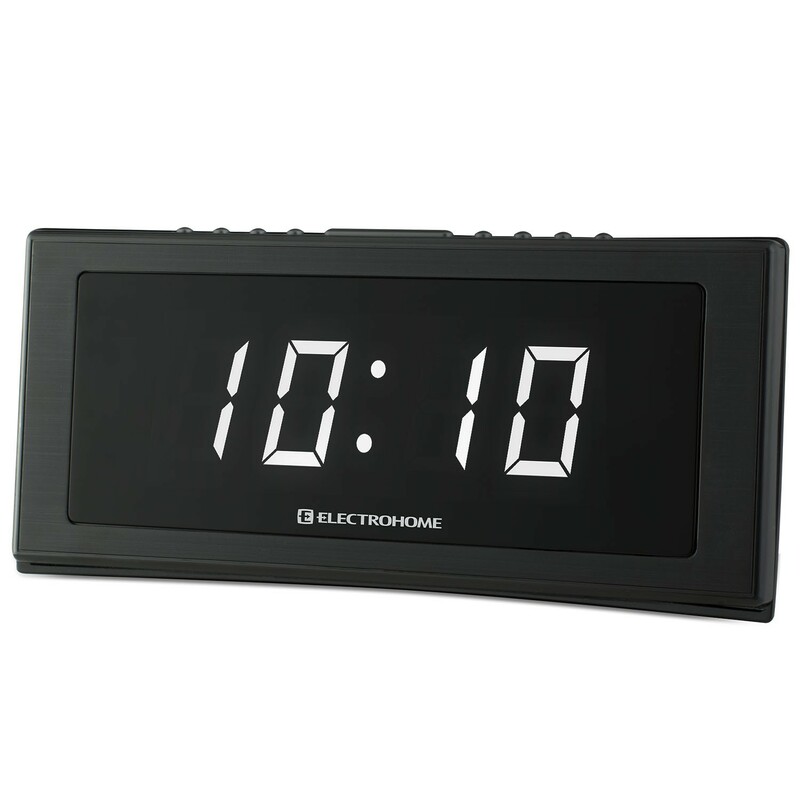 Brighten your mornings with the 1.8” Jumbo LED Alarm Clock Radio by Electrohome – no squinting required. 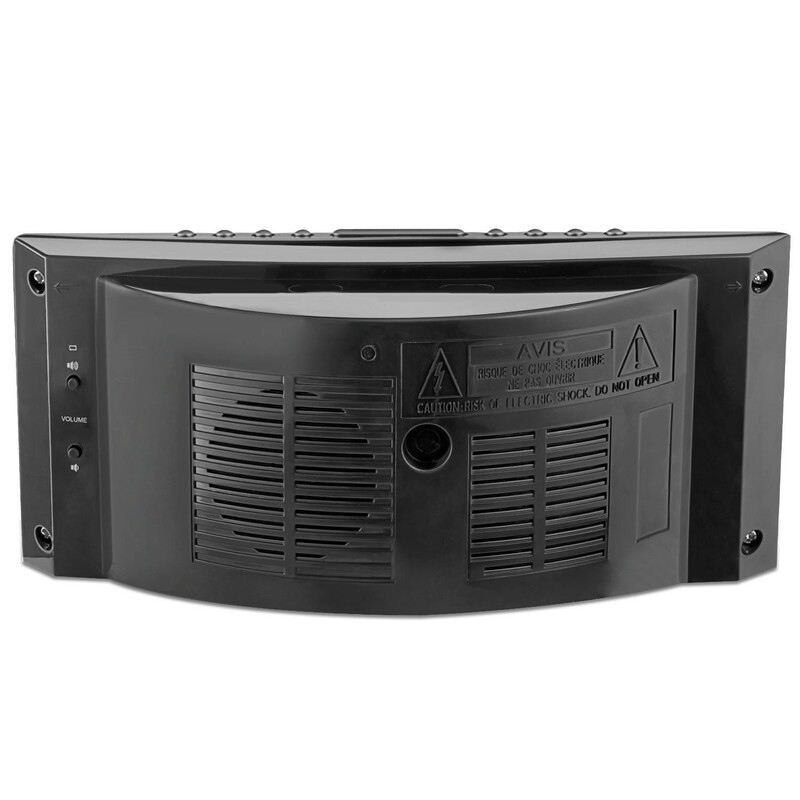 The modern display makes for clear and precise visibility from anywhere in the room. 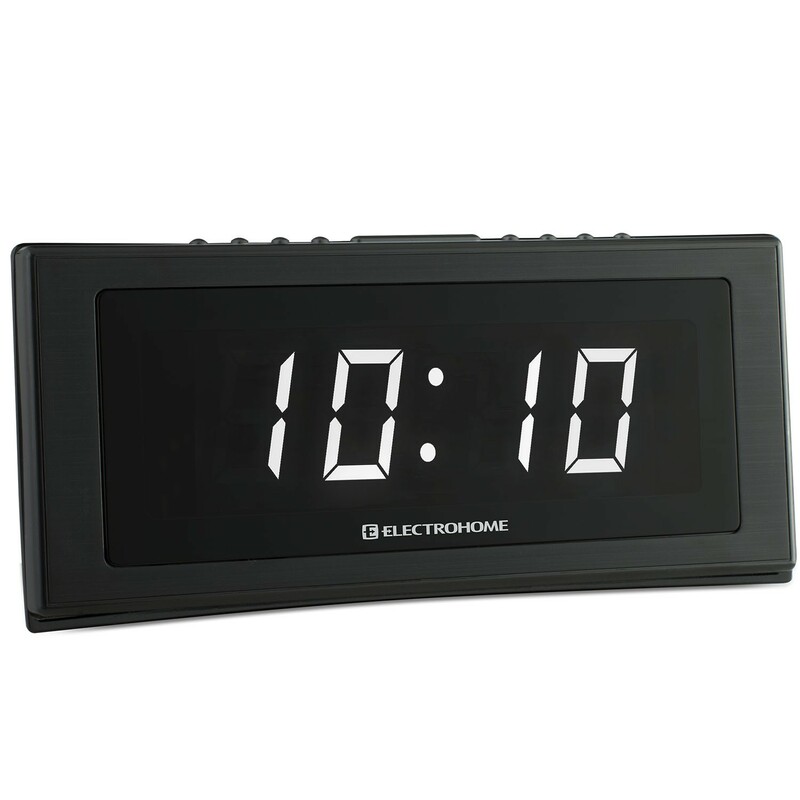 Reading the time, date, and indoor temperature is easy on these large, easy to read 1.8” red LED digits. Four dimming options give you control over your screen’s brightness, from full illumination to an unlit display. 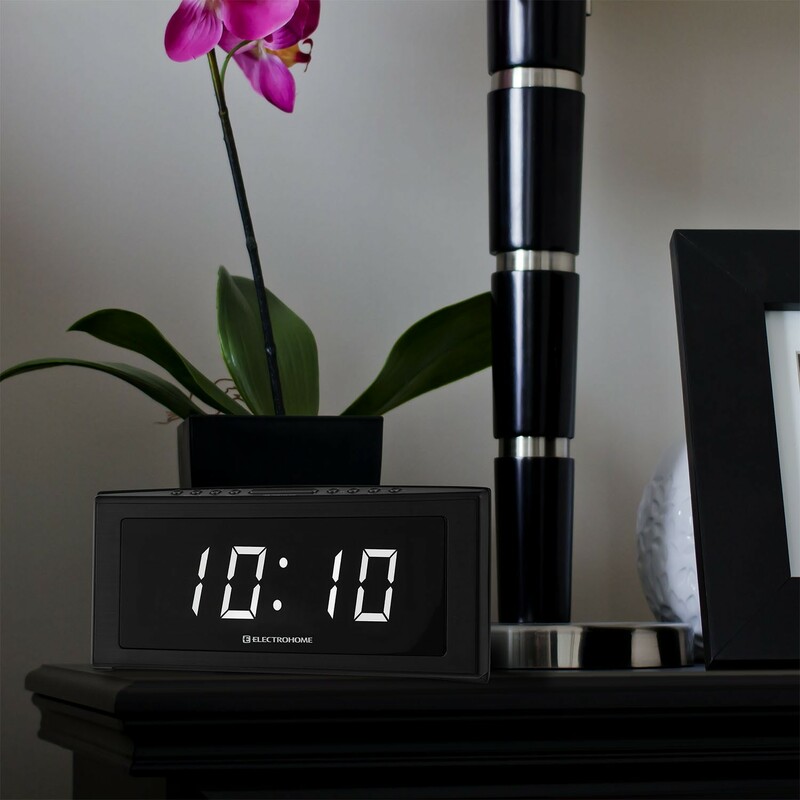 Plugging your clock radio into a wall outlet will display preprogrammed time and date settings moments after it’s taken out of the box. And setting up Daylight Savings Time has never been easier thanks to SelfSet technology: simply specify your time zone and Daylight Savings Time will automatically adjust each spring and fall. 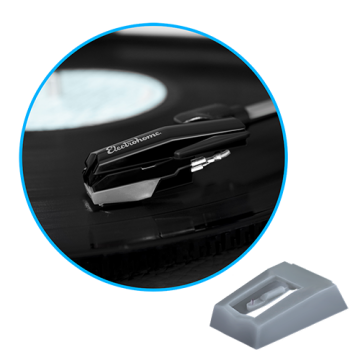 Treat yourself to crystal clear audio every morning with the digital tuner that locks onto the strongest point of the radio signal, giving you the best reception and static-free sound. 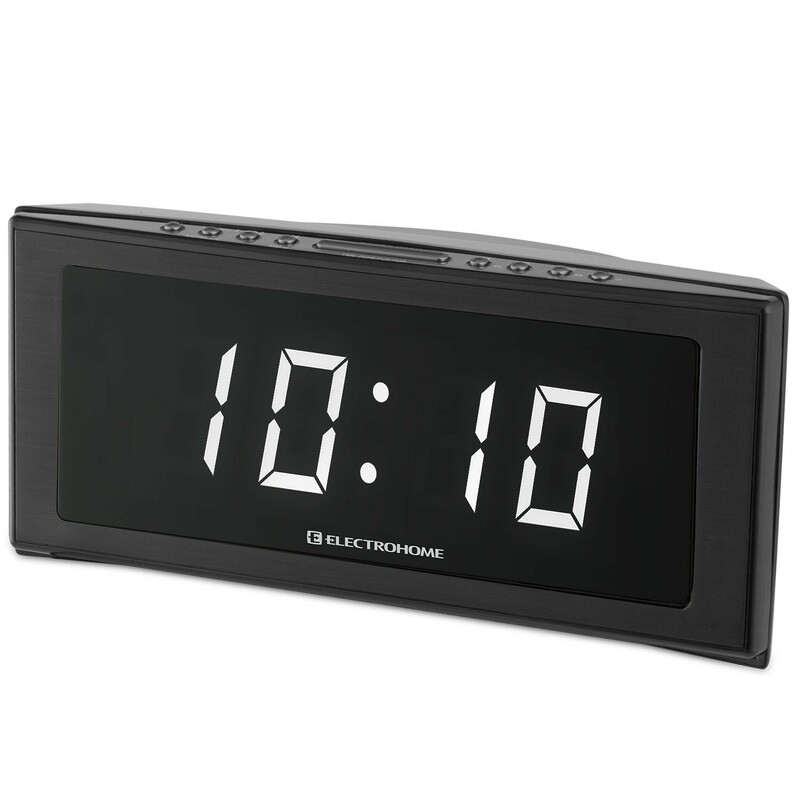 The clock's digital display eliminates the tuning dial found on most conventional alarm clocks. 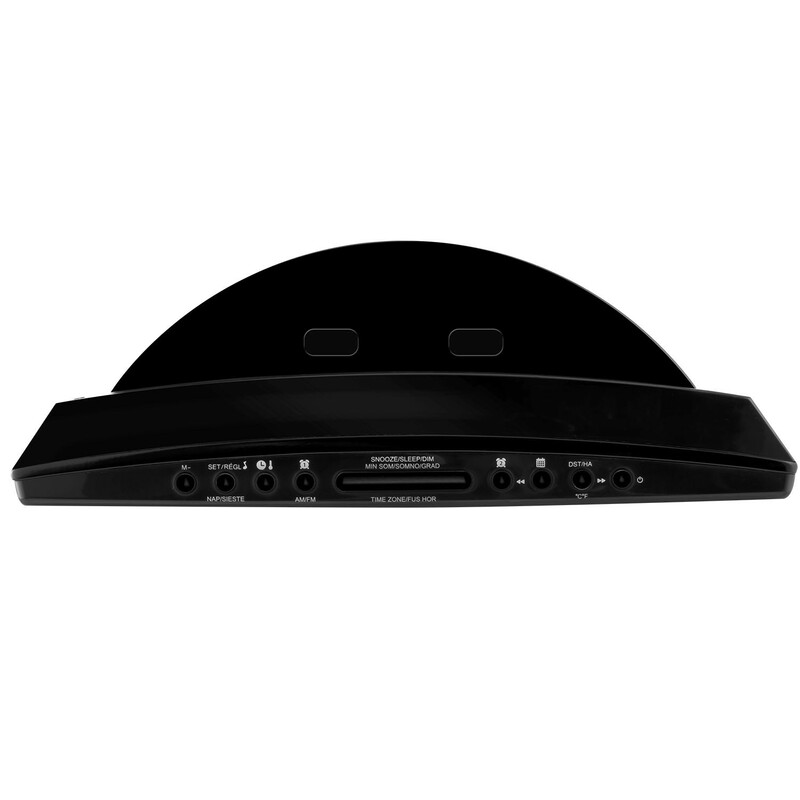 Easy to use electronic controls make programming the device's 20 station presets and seeking your favorite station simple. 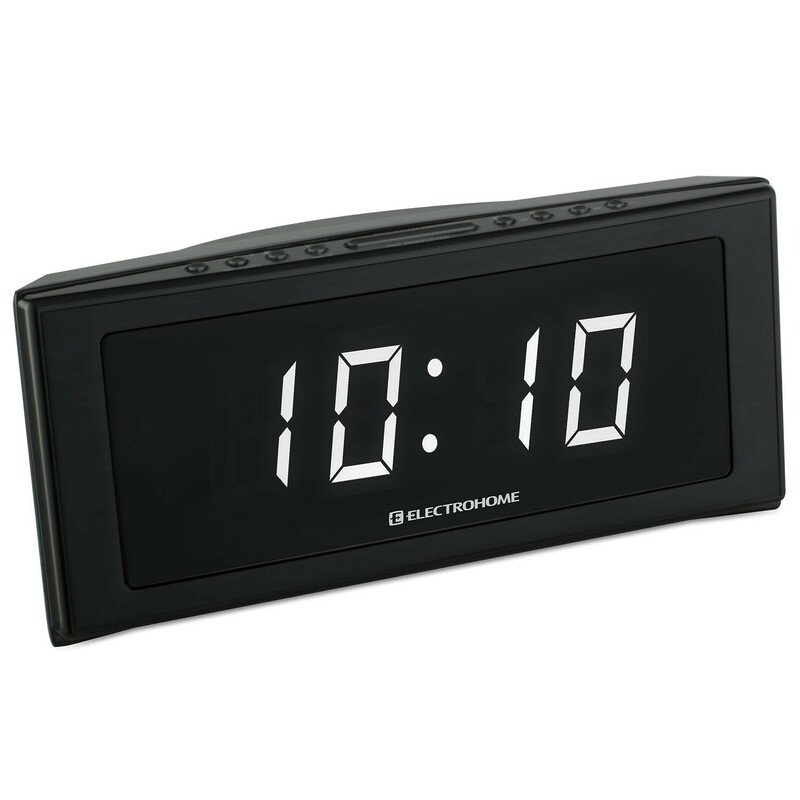 WakeUp technology means your alarm settings will remain active even through power interruptions. 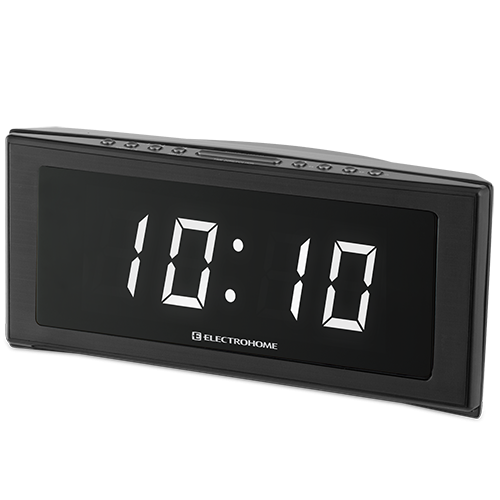 When the clock strikes your desired wake-up time, the built-in battery backup will automatically activate and provide you with your cue to rise. 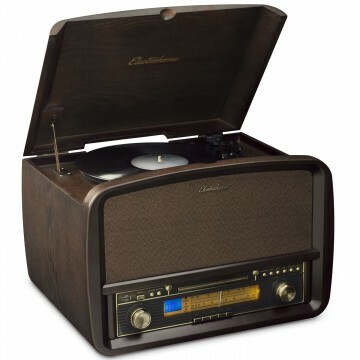 It is a little loud even at its lowest setting as the volume isn't a roller it is fixed setting but I sleep with a sound machine and it works out ok for me. The buttons could be a bit larger and do not need to serve double duty as there is room enough for this. My biggest complaint is that the snooze button blends right in and is very hard to decern while you are 1/2 asleep as to what button is the snooze..... I wound up gluing a piece of soft rubber or fabric onto the top of it and now I have no issues. But even with these faults it is better than most of the alarms that are out there. Trust me I went through at least half a dozen before this one!!! It has M-F or S/S or M-S however you need dual alarm.